Would Yoda Have Made a Good Spiritual Director? Where would Cinderella be without her fairy godmother? Frodo without Gandalf? The English students without John Keating in Dead Poets Society? The Karate Kid without Mr. Miyagi? Or Luke Skywalker without Yoda? Great movie mentors, although often idealized, remind us how important mentors are in our own lives. Mentors are the people who have walked the difficult path before us, people who have shared or currently share in our situation or something similar. How they have walked their path ignites in us a longing to be like them. They approach challenges with a quality or grace that appeals to us. Sometimes it is simply their courageous example that shows us the way; at other times it might be their wisdom that gives us hope that we too can overcome the obstacles in our path. Although we don’t have to personally know someone for their words and example to mentor us, the ideal mentor not only knows us, but “gets” us, and offers us insight to help us see from a different perspective. A mentor can be encouraging, challenging, or even discouraging at times, but their wisdom and insight is the fruit of their life experience. We can be mentored in many areas of our lives, from a career, to living our Catholic Faith, to a certain scientific or artistic discipline, to simply becoming a better human being. A mentor may be a parent, grandparent, or other relative, a teacher, an expert in a particular field, a boss, a co-worker, a pastor, a spiritual friend, or someone with vast life experience. The best mentors are those who are comfortable with themselves, who have integrated the various aspects of their lives, and are deeply spiritual human beings. A spiritual mentor is wise in spiritual matters not just from study but from his or her lived experience. Consulting with someone wise in the ways of God can be invaluable for our discernment journey. We should seek advice when we are ready—after we have already been praying about our discernment and done whatever research we need to do—and are at a point where we need some insight as to how to proceed. Perhaps we are stuck in indecision or fear, or perhaps we simply lack the knowledge or insight needed take our next step forward. It’s important to be really open to what our mentor has to say. One form of mentorship that is part of the Catholic spiritual tradition, as well as highly encouraged in discernments, is spiritual direction. If we are seriously engaged in our spiritual life, we may want to seek regular spiritual direction. But especially when we are discerning a larger matter (such as our vocation), we would be wise to seek a spiritual director, who is often the most helpful mentor in a discernment. In an earlier post: https://coauthoryourlifewithgod.com/2015/03/04/spiritual-direction/, I talked about how to find a spiritual director. In my next couple posts, I’ll talk a little bit about what it is like to go for spiritual direction for the first time, and some tips for how to make the most of spiritual direction. To get back to the title question, yes, I think Yoda would have made a good spiritual director for Luke and perhaps does offer him some spiritual direction. 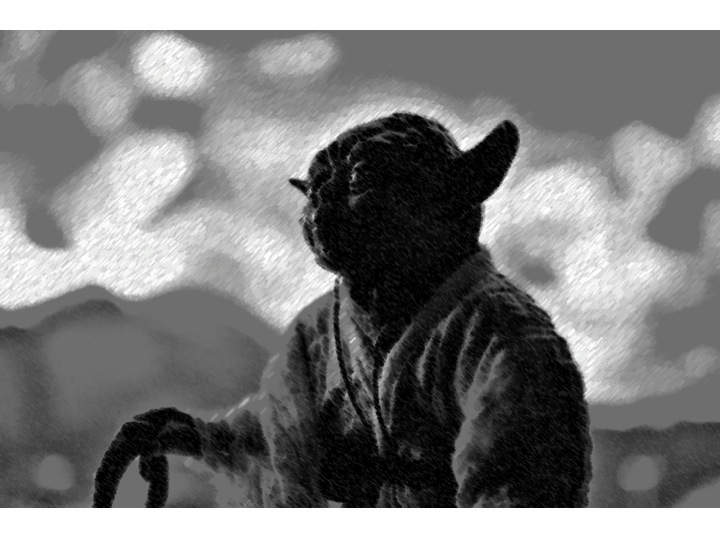 Above all, Yoda does what a good spiritual director does: to find God in the directee’s own experience. Yoda encourages Luke to get in touch with and trust his own experience of “the Force.” And while “the Force” seriously lacks as an image of God from a Christian worldview, for the fictional world of Star Wars “the Force” does seem to refer directly to God’s Providence at work in creation. In the meantime, what questions do you have questions regarding spiritual direction? If you contact me with your questions, either below in the comments, or via email, I’ll answer them in an upcoming post. ← Call out for prayer requests: what can I pray for you during my retreat? I am a recent convert and have begun the process with a spiritual director/mentor with regards to vocation. One thing we talked about in our last session was that I was able to discern what I am not called to do more so than what I am. We talked about this in the context of motherhood, as I am a working mother and have prayed for some time that God would allow me to be a stay at home mom and raise my children. My question is once you’ve discerned which way God is leading you, how do you proceed from there? Thanks for sharing. Yes, it’s true that sometimes the “not calls” are so much easier to discern! As we’ve been discerning where God is leading us, we usually come up with ideas about “the next good step” to take. Now that we have made a good discernment, we need to discern each step… We bring to prayer the possibilities we imagined of how to to go ahead. In these moments, I especially pray to the Holy Spirit for wisdom and courage. Wisdom to know how to respond to God’s invitation, and courage to do so! (Just because we know something is God’s will for us doesn’t make it easy. Also, knowing what we need to do is different than knowing how God is calling us to do it.) The end of our discernment is usually the beginning of a new adventure with the Lord. God leads us step by step in fulfilling His will. Sometimes the next step is simply to stay with the decision and make sure that we have discerned well. (If we start to feel very unsettled, then we might need to step back and discern some more.) Sometimes doing God’s will takes time–especially if it’s a major change in our lives. If it’s something that will affect our family in a big way, then making contingency plans can be a wise thing to do, since we’re rarely 100% sure that a certain decision is God’s will. Sometimes it’s best to start with small steps–making plans, consulting with others, etc. At other times, God’s will requires that we take a huge leap of faith and take action right away. It all depends on your circumstances…and ideally, we would continue to discern how to do God’s will on a daily basis. Above all, proceeding with faith and love is key. We don’t let difficulties or uncertainties stop us from doing God’s will, but we can use all the gifts and resources at our disposal, and trust in God for what we still need to carry out His will. Proceeding in love–doing everything out of love for God, and doing it in a way that reveals God’s love to others, is also essential for carrying out God’s will. I realize this answer is a bit vague, Melissa, but is it helpful at all? I was thinking to address this question in a later post/chapter…and now you’ve just confirmed that I need to do that! Thanks for the great question, Melissa, you’ll be in my prayers. I loved this article because of the way it relates the spiritual to the secular. Great advice and wisdom from you yet again. Hope you are well, and talk to you sometime soon! So glad you enjoyed it! I’m hoping to hear your latest online show soon. You are doing so much online–it’s wonderful to see your online presence grow! I just finished a wonderful 8-day retreat; the Lord is truly blessing us. 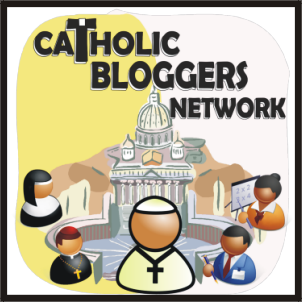 One day I offered all my prayers for Catholic communicators–like you! I hope you are well. I will continue to keep you in my prayers! God bless you. Thank you so much for your prayers and encouragement! Thanks, Josse! Glad you enjoyed it.